Golden Dragonfly Press, 9780998976662, 156pp. 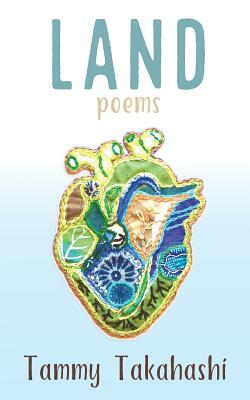 The poems of Land explore our bodies and selves as terrain to be navigated, accepted and loved. Where estrangement meets intimacy, where lost youth meets the inevitability of aging, where fear meets hope, where doubt meets empowerment, where the natural world and the elements as our precious teachers meet our readiness to dive right into our lives--these are the intersections that lie at the heart of this collection, which uncovers a great paradox of our times: adrift, we long to feel truly, completely at home, while knowing deep within that there's nowhere else we can be; we are already there, exactly where we are.